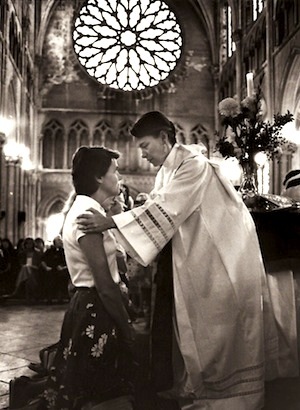 July 2014 marks the 40th anniversary of the ordination of women as Episcopal priests. Join WATER on July 16th in celebration of this momentous event. Hear Darlene O’Dell discuss this remarkable journey captured in her newest book, The Story of the Philadelphia Eleven. Join us as we focus on this moment of women’s ministerial history and champion all courageous women who have pushed the borders of inclusion within their religious traditions. Let us remember that while we share in a rich tradition of women’s history and ministry, the excommunication of Kate Kelly who advocates women’s ordination in the Latter Day Saints (Mormon) and continued non-ordination of Roman Catholic women indicate that our journey is far from over. Let all feminist ministries thrive! Visit here to sign up for this event.